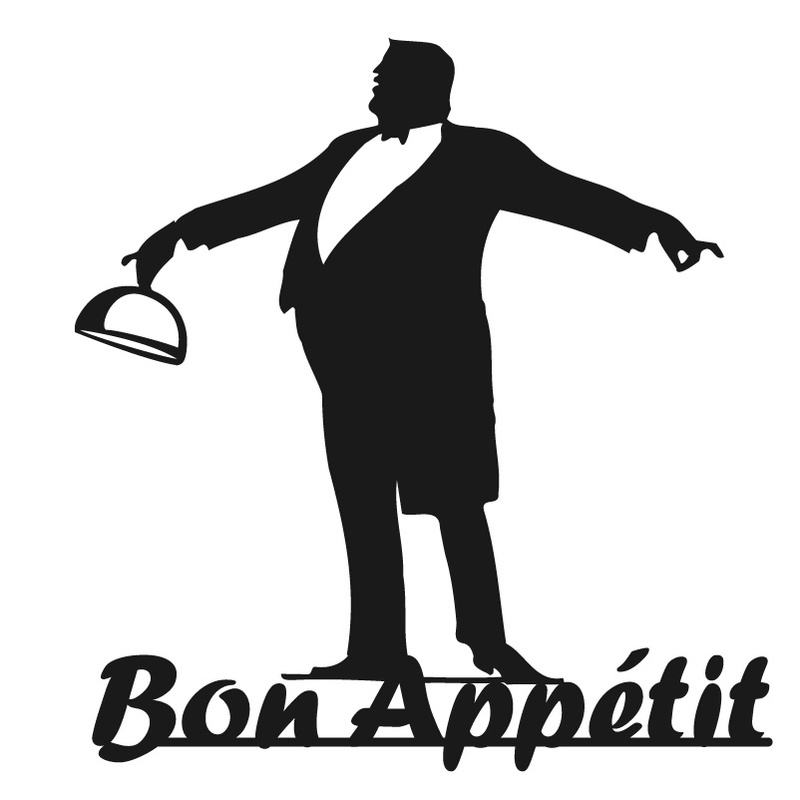 I seldom travel “down town” when looking for a place to eat or drink, but when my friends from Jax Restaurant Reviews and Foodie Adventures hold an event if available I sign up because I know there will be something special going on, and tonight was no different. 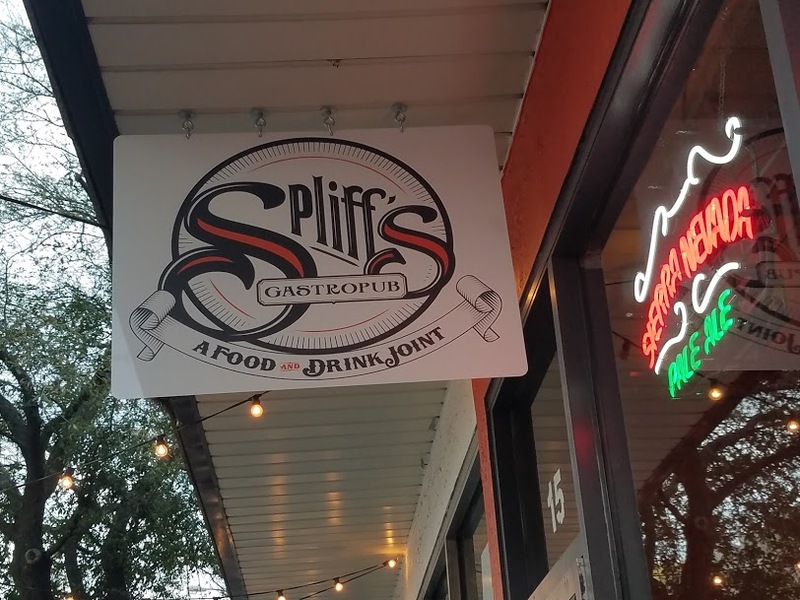 Spliff’s small space with a lot going on, has become a place to go for lunch, dinner and late night fun. 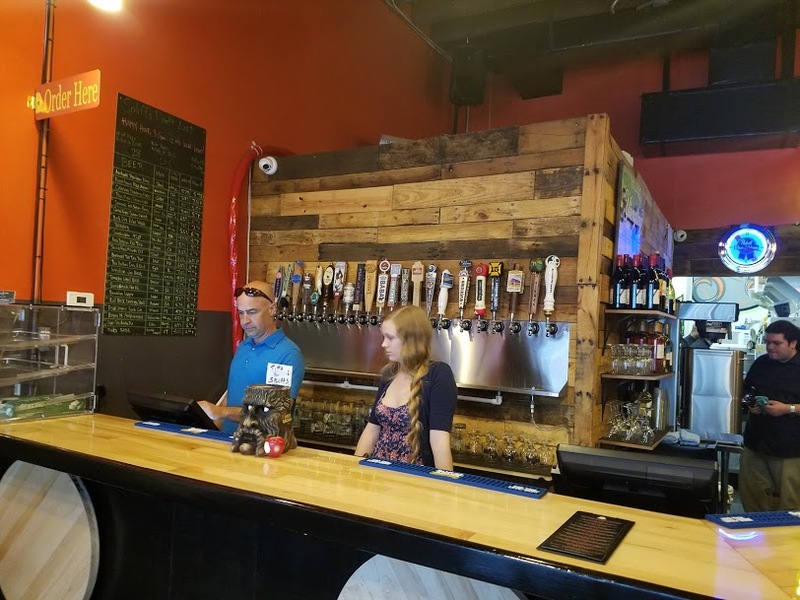 Happy hour Mon-Fri 3 to 7, and events every night, plus live music in the outdoor Beer Garden Friday and Saturday, closed on Sunday. Now that I have been here, it’s most likely a place for me to visit and take my besties. So tonight’s event was a five course menu, small plates from their regular fare. I like doing these dinners in a place I have never been before, you get a good sampling of what the chef in capable of with out the deep dive into an expensive and perhaps not so good meal. 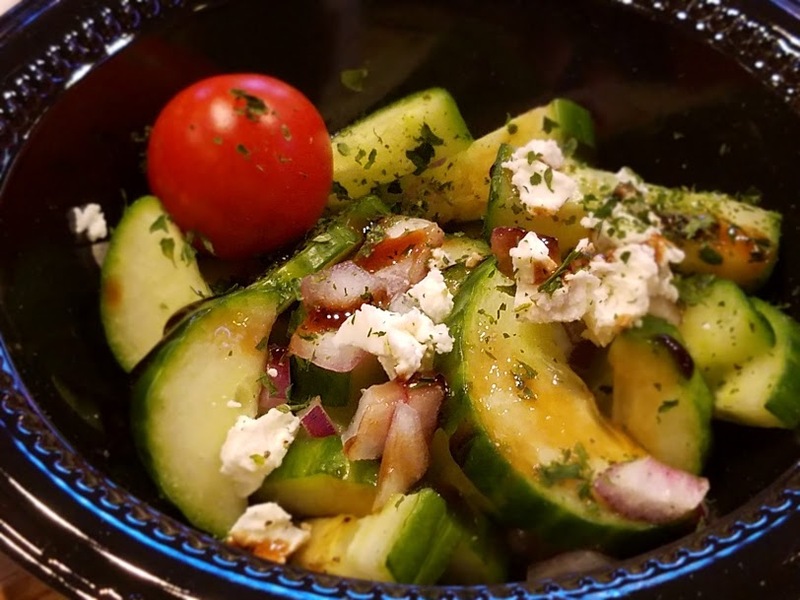 1st Course, this dish is not on the menu, but a fresh Cucumber, Tomato, Goat Cheese Salad, I wondered about the cucumbers, nothing like others I have tasted, I found out they are greenhouse grown, European. cukes. Nice crunch just a bit milder than usual. 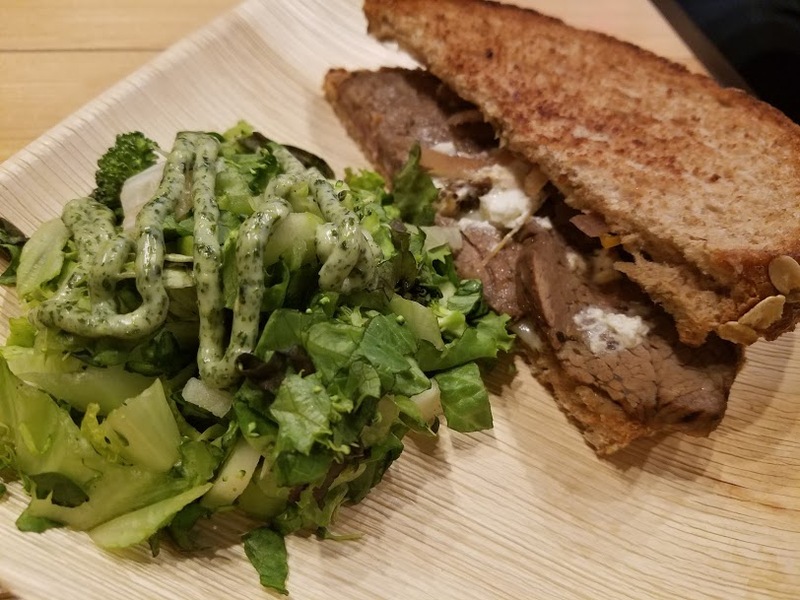 2nd Course, Gourmet Grilled Cheese , The Goad Boy, served on a buttery Texas toast, tri tip steak, caramelized onions, sweet peppers, provolone and goat cheese, and a side salad with house made green goddess dressing. I totally enjoy the fact grill cheese has been elevated to Rock Star status, and Spliffs is right there with their version. Meat was tender and well flavored, peppers added a nice pop. This was my first experience with the Green Goddess, I can’t say I liked it, but can’t say I did not like it. 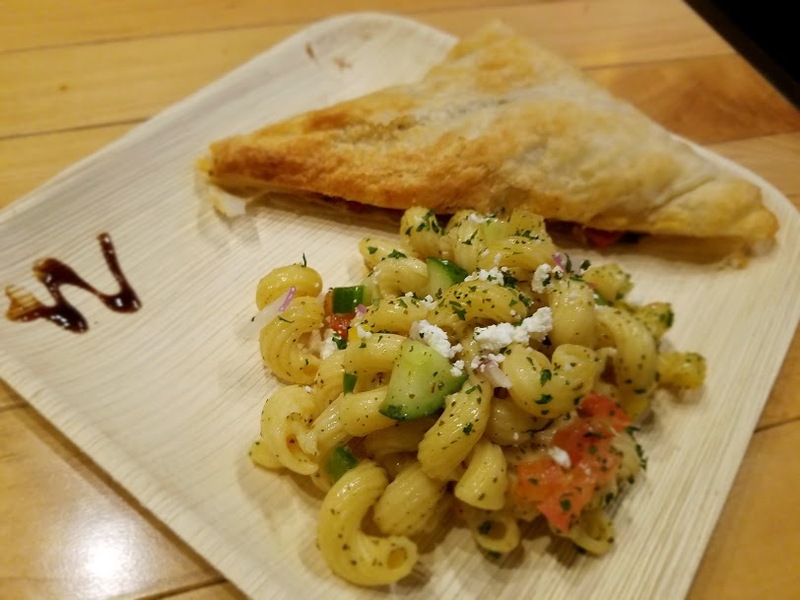 3rd, my favorite Spliff’s Pocket, The Goodfella, flakey puff pastry, stuffed with pepperoni, mozzarella and Romano cheese, sun-dried tomatoes,and fresh basil, garlic, served with home-made Greek pasta salad. We were also received samples of their signature dipping sauces, honey mustard, Habanero, pesto and green apple. We tried them all the clear winner green apple. Salad good flavor, pasta satisfied all of us. 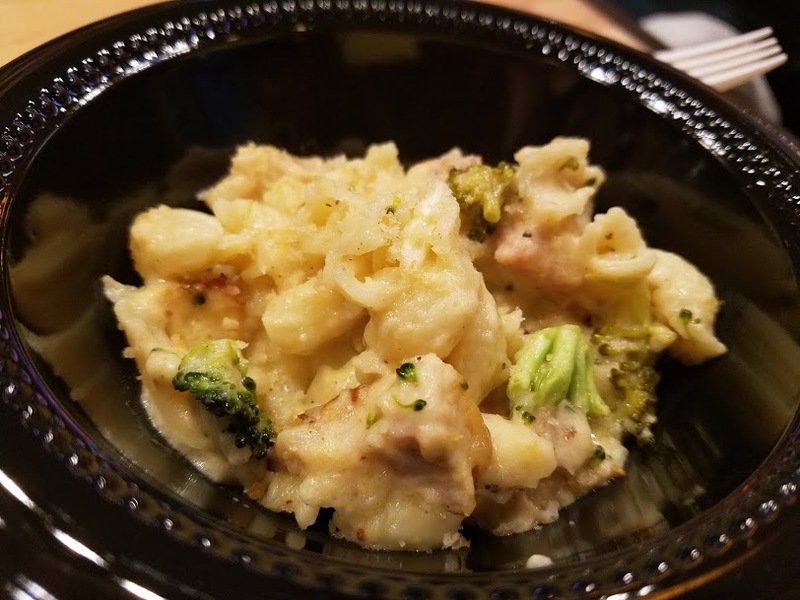 4th course, Mac & Cheese The Cordon Bleu Dream, this a their signature dish made with grilled chicken, honey baked ham, Swiss cheese and fresh broccoli topped with Panko. We all wanted more of this dish. Comfort food at it’s best. 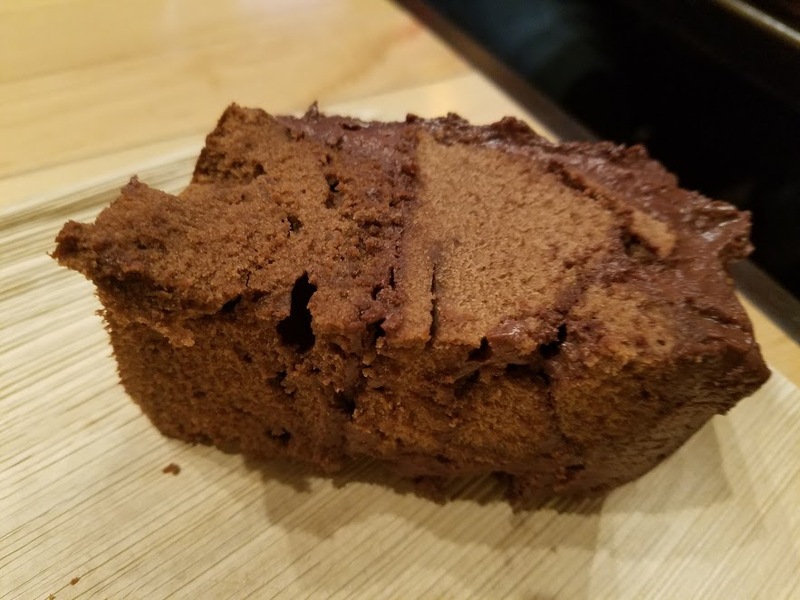 Our last course was a Chocolate Cake, made from scratch by Chef Casandra, Romines. The perfect end to our meal, the cake was rich, moist, sweet, frosting like eating silk. Decadent is the word that comes to mine, and is used in a most delightful way when chocolate is include. We all left full and happy, like me many of the attendees were first timers at Spliff’s, and told us they were glad they came. 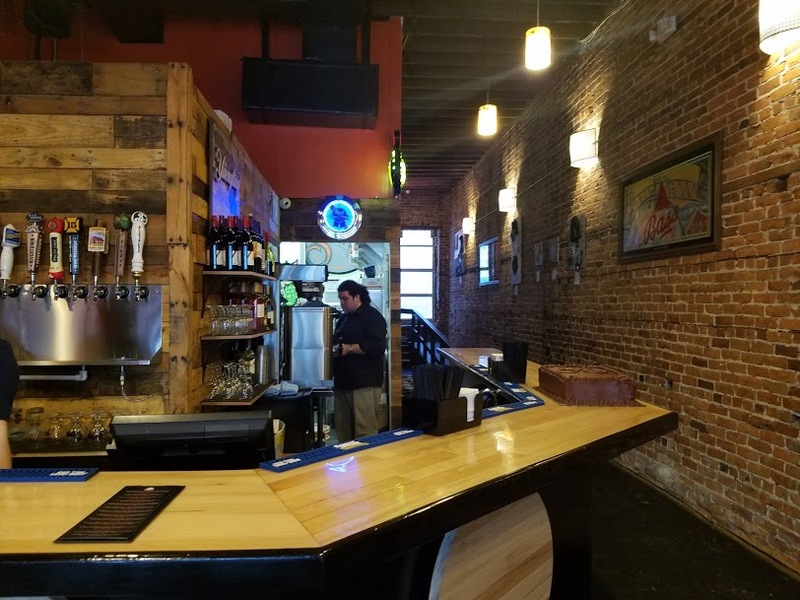 If you work down town close to the Florida Theater it’s right around the corner, and with in walking distance of many offices. 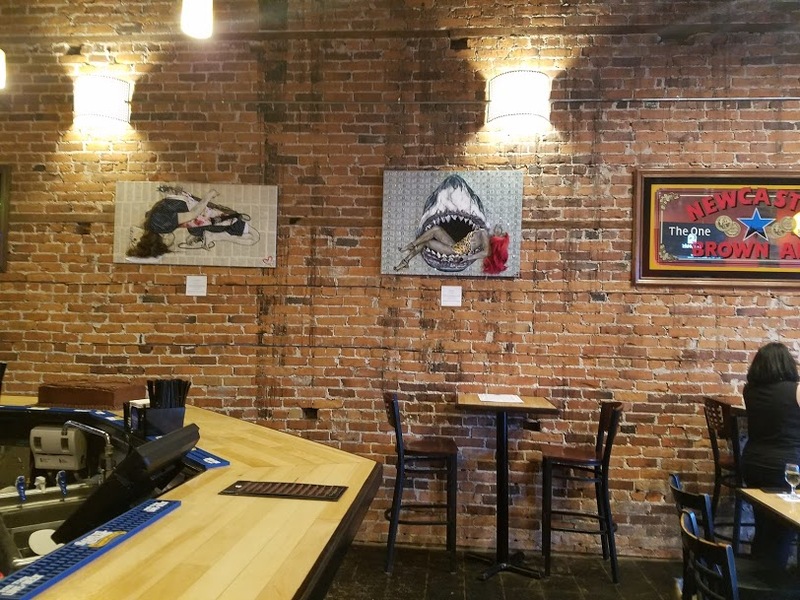 I see it as a late night place, for drinks and eats with friends. 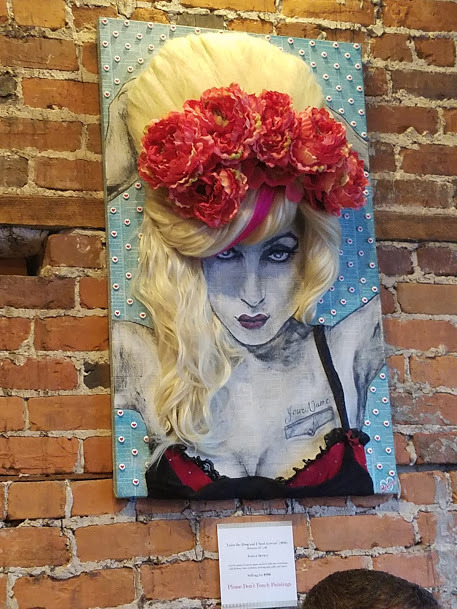 I highly recommend at visit, check out the patio, the music or perhaps come on open mike night. I think you will enjoy yourself.